Back at Google I/O, Big G promised a long-awaited feature for the Google Home. Despite its many advanced functionalities, the smart speaker lacked something that sounds very simple to implement, yet it probably isn't so – Bluetooth streaming. As of the latest software update, this feature is now finally implemented. 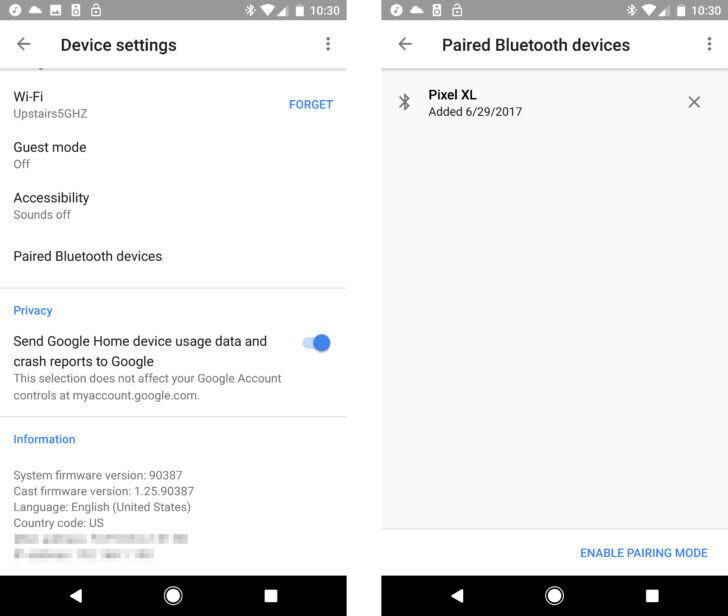 If the update has already reached you, you can go into “Device Settings” in the Home app, and locate the new “Paired Bluetooth devices” section. From there, you should be able to pair your phone with the Google Home and start streaming audio directly to the smart speaker. In case you don't have the update yet, don't fret. It should land on your device in the next few days. In the meantime, we're also waiting for a few more additions to the Home's functionalities, such as proactive abilities, hands-free calling, and more. Does this mean that we can stream from the Google Home to a different bluetooth speaker? Yes, it exactly means that.